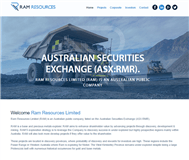 Ram Resources Limited (RAM) is an Australian public company, listed on the Australian Securities Exchange (ASX:RMR).RAM is focused on building shareholder value primarily through the exploration and development of its portfolio of nickel and copper prospects in the Fraser Range, Western Australia. 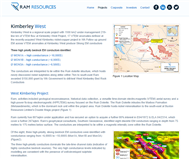 Ram's entry into the Fraser Range region began in October 2012, acquiring an initial interest in the Fraser Range Project, and has over the last 12 months.Ram currently hold ~86% interest in the Project, which consists of 3 tenements covering more than 400km2 (EL 28/2209, EL 28/210, EL 63/1528) and located in the heart of Western Australia's Fraser Range Belt just 20km west of Siruis world class Nova-Bollinger deposit.Through the systematic exploration work undertaken to date, six (6) category 1 MLEM (Moving loop electro-magnetic) drill targets have been identified.The Company expects drilling to commence in July 2014 as part of a rolling program to test several key targets. Limited historical exploration targeting nickel sulphides. Strong prospectivity with 28 VTEM anomalies, copper anomalies, and complex structural geology. Located just 2km west of Sirius' Crux anomaly and south/along strike of Ram's other Fraser Range projects and Sirius' Nova nickel-copper deposit. Tenements cover the contact between Proterozoic Biranup Zone and the Fraser Range Complex. Field work underway to identify highest priority drill targets. Elevated copper values in soils provide evidence of strong exploration potential. Copper anomaly along strike from Crux. Multiple VTEM anomalies remain untested. 30km of the interpreted Fraser Fault zone which hosts the Mammoth Nickel Prospect in the north. Project area explored by Ponton Minerals Pty Ltd between 2005 and early 2013. E28/2320 sits on the southern end of a magnetic eye (interpreted intrusive). Historical geochemical results highlight three zones of strong nickel and copper anomalism. Peak values of 282ppm Ni, 928ppm As, 87ppm Co, 75ppm Cu, 238ppb Pd & 53ppb Pt demonstrates strong potential for mineralisation. Detailed magnetic survey to be completed by mid-June. Follow up ground based EM planned to prioritise targets for drilling. Geo-chemical augur program highlighted a number of prospective zones. E28/2320 sits on the southern end of Magnetic eye. Peak PGE's 238ppb Pd & 53ppb Pt. 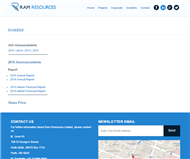 Ram Resources holds two exploration licenses Dome Triangle (E45/2726) and Fallows Field (E45/2727) which are located within close proximity to Newcrest Limited's Telfer Gold Mine which is located about 400 km east-southeast of Port Hedland. 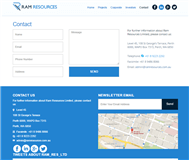 In March 2014, Newcrest Mining acquired options over the Telfer projects, Ram is to receive $30,000 per year for 3 years and in the event Newcrest exercises both options, Ram is to receive $750,000 ($250,000 and $500,000 respectively for Dome and Fallows).